As we saw in the last two posts, hard rock and heavy metal were a driving force behind the success of Canadian bands beyond the national border. While some bands fared better than others, the world – meaning mostly Western Europe, parts of the United States, and Japan – were becoming acquainted with hard and heavy sounds from Canada. Canada’s love for heavy music was surely obvious by the eighties as several bands paid homage to heavy rock fever. Anvil’s anthem “Metal on Metal, Helix’s party rock hit “Heavy Metal Love”, Kick Axe’s “Heavy Metal Shuffle”, Killer Dwarfs’ “Heavy Metal Breakdown”, White Wolf’s “Metal Thunder” and Lee Aaron’s “Metal Queen” all offered different takes on what heavy metal meant and sounded like to them and nearly all of these songs reached the radio waves and late night video programs. Add to that the debut album by Sword, “Metalized”, and there’s no doubt that Canadians loved their metal. In spite of the fact that Canadian rock had made great headway through the seventies and into the early eighties, there were still great hurdles for bands to overcome. As many bands discovered, deals with record labels didn’t guarantee their albums would make them superstars. And as the nineties began, a lot of bands who had fought hard to achieve some degree of international success and play in the big arenas found themselves back in the bars as grunge made metal subgenres like thrash and glam passé almost overnight. The story of the Canadian heavy metal band in the eighties has been wonderfully retold in a book by musician Sean Kelly (Crash Kelly, Helix, Nelly Futardo). Metal On Ice: Tales from Canada’s Hard Rock and Heavy Metal Heroes takes the reader on a journey from fandom to budding musician, to bar band to debut album, to arena band to canned band wondering what to do next. Kelly interviews over a dozen Canadian hard rock and heavy metal musicians about their early days in their respective bands, their experiences in making their way to the peak of their success and what happened after the grunge explosion hit plus where they are at now and how they look back on the eighties and early nineties. There are stories of harrowing winter road travels packed in a small touring van and the wild lifestyle that evolved around glam metal in particular. While the book doesn’t expound upon episodes of gratuitous debauchery, certain suggestions of youth-gone-wild are mentioned where artists are willing to offer a little insight. More importantly are the common trials shared by Canadian bands trying to make the big time. For this book – remarkable for its subject matter (how many other books can you name that deal with the subject of Canadian hard rock and metal?) – Kelly interviews members of Coney Hatch, Helix, Headpins, Haywire, Harem Scarem, Slik Toxik, Sven Gali, Voivod, Sword, Lee Aaron, Sacrifice, Killer Dwarfs, Razor and more. Plus he recounts his own experiences as a youth first exposed to heavy metal, learning to play the guitar, the life on Younge Street, Toronto, and his own pursuit of heavy metal-dom into the nineties. It makes for a very entertaining read if you were/are a fan of Canadian hard rock and metal. That last point – the Canadian one – is very important because there is a strong sense of Canadian identity running throughout the book. Near the end, musicians are asked if being Canadian had any influence on their lives on the international scene and how they were regarded or treated as Canadian musicians abroad. Finally, the book ties in the heavy metal arena with the hockey arena; musicians share their thoughts on how hockey and heavy metal are related in Canada and how the relationship is reflected in the life of a Canadian rocker. If there are any cautionary points to make about this book, then there are three that I noticed. The first is that this is a very Canadian book and perhaps Europeans will be sympathetic but I suspect some Americans might be less so. 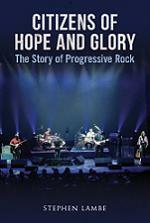 As a Canadian who is proud of his country’s hard rock, heavy metal, and progressive rock output, I felt a glow of pride often while reading the book. But Canadian pride is often and personal thing and not something we shout about to the rest of the world. So I felt it would be a little humbling to sit next to an American reading this book. The second point is that this book is very Ontario/Toronto-centric. I felt most bands mentioned were from Ontario or on the periphery but western bands in particular received less mention. Not something to really complain about however as there was plenty for me to learn about from a Torontonian’s perspective. And it’s thanks to this book that I learned muscleman Thor was from Vancouver! Furthermore, Mr. Kelly’s life experiences as a metal head in the eighties are not so far from mine (we are only a year apart in age), and as Toronto’s Younge Street became like the Sunset Strip of the North, it was interesting to read about. My biggest warning to any potential reader, however, is that you may feel tempted to go add some Canadian metal albums to your collections, and finding some of these like Sven Gali and Slik Toxik means tracking down expensive collector’s copies or finding used CDs in excellent condition. This means it can be a little expensive to satisfy the craving for Canuck metal that this book encourages. “Metal On Ice” is published by Dundurn and is available on Amazon.ca for $14.98. It’s 208 pages and includes several pages of B&W images. I recently acquired two autobiographies by former members of Yes: Bill Bruford – An Autobiography and Grumpy Old Rock Star by Rick Wakeman. I have always enjoyed hearing both men speak on various YouTube videos related to Yes and progressive rock in general, so I was quite interested in reading their books. From the outset I expected Bill’s book would be very intelligent and introspective while Rick’ book I could guess would be very funny. Bill takes a different approach to writing his life story here. Instead of the usual birth, childhood, adolescence, becoming a musician, etc. route, Bill has divided the book into chapters of FAQs where he then sets about answering those questions by way of telling of relevant episodes from his life. As such, this is mostly about being a drummer and a little about becoming a drummer with very little else about his personal life except for the part of being a touring musician with a family. Bill writes very intelligently and offers a lot of background information on the music business from the role of the manager to how a recording session goes, to the rise of the music industry and its pursuit of money making singles. The book is largely a no-nonsense saga of a serious-minded musician pursuing his own private goal of working with great musicians and bettering himself as a musician. 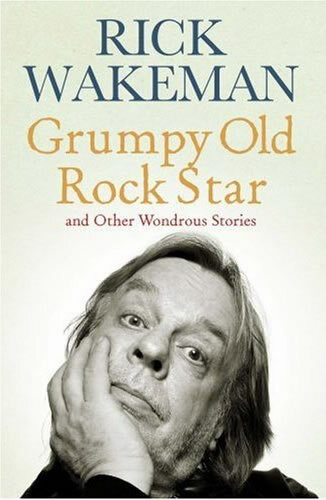 The book starts off with some humorous stories about his days with Yes and also includes some of his stories with Gong, Genesis, and of course King Crimson. There is a very interesting chapter on the man, Robert Fripp, and a number of anecdotes of experiences both good and bad with other musicians. These stories, along with Bill’s often very formal approach to English and his understated and sometimes dry humour, made the book very enjoyable for me at first. However, later on their are a number of lamentations about the music industry and the music-buying public, and at times I felt that Bill is not very impressed by his fans unless they love his latest works. If you meet Bill and tell him you loved his work on Close to the Edge and Red then he’ll likely politely thank you but secretly wish you would pick up an Earthworks CD and get into that. At times I felt the finger pointing was getting too personal. Hey, Bill, I am reading this book because I like your work with Yes and King Crimson. And I bought Bruford’s One of a Kind and Crimson’s Discipline because you and Stephen Lambe both sing a lot of praise for these albums. But I have to admit that I am more a rock guy and not really a jazz guy so, although I have great respect for what you are doing as a jazz drummer with jazz musicians, it’s not my cup of tea. As I come to the final chapters, I find the moments of mirth are no longer coming and everything Bill writes about has me thinking and nodding or shaking my head, sympathizing in some remote way, or feeling like the real grumpy old rock star is the author of this book. A good read for many reasons. But don’t expect to be regaled with funny touring stories throughout as they only appear at the beginning. If you have ever seen Rick speak about prog on a documentary or seen him speak at some music function then you have probably enjoyed a few big laughs. He has the right delivery to be very amusing and add to that some very amusing stories and you are in for a highly comedic book here. The first chapter is one of the best as far as laughs and stomach cramps go but there are plenty of other tear-jerkers – and I mean the kind where you laugh so hard the tears just flood out – throughout the pages. Read about how Rick acquired a KGB uniform, what happens when an inebriated trumpet player hits a high D, getting a work visa for Brazil from possible Nazis in Paraguay, or Rick’s first experiences behind the wheel. You’ll be either smirking or laughing in hysterics at least every other page. Of course, if you’re a fan of Yes or Rick Wakeman’s solo projects there are plenty of stories there. The curry story is explained as it really happened; Brain Deal-a-Day Lane was very much unimpressed when Rick proposed doing King Arthur on ice; and two battling dinosaurs in Journey to the Centre of the Earth became very affectionate with each other during one show. The book does have its serious moments from time to time such as when Rick explains when he suffered two heart attacks at the age of 26 and was visited in hospital by a very concerned Jon Anderson. One thing I really like about this book is how Rick seems to enjoy everything (except the heart attacks) and looks back on all his adventures with fondness. 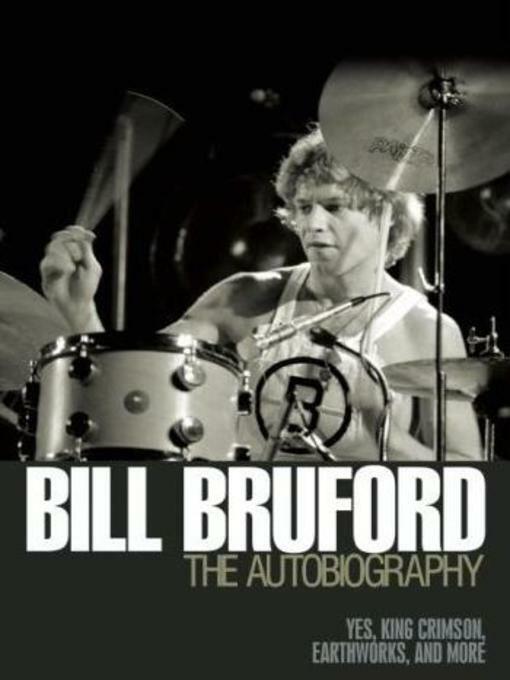 He sounds genuinely pleased with how his life has gone and that gives the book a very light, cheery atmosphere, quite in contrast to the brooding sobriety of Bill Bruford who has many unfavourable things to say about the music industry, the punter, and some of the musicians with whom he has worked. Rick is by far not the grumpy one of the two. I have been reading these books simultaneously with Bill at home for when I have a slice of quiet time to read part of a chapter and Rick on the train during my commute, which has sometimes left me stifling a good belly laugh and wiping away tears while other commuters stand in solemn silence around me. I recommend both books: Bill’s for the intellectual side and Rick’s for comic relief.